Tom Clancy’s Rainbow Six: Siege – Better than ‘Patriots’ and a Very Much Anticipated Game of 2015! Tom Clancy’s Rainbow Six: Siege is a thrilling role playing, anti-terrorism video game with the hostage as the main center of focus! From the debut and sneak peeks, the environments of this game world are destructible, the hostage negotiations and extractions are heart-pumpingly intense, and the tactical co-operative play within the game is simply mind-blowing! 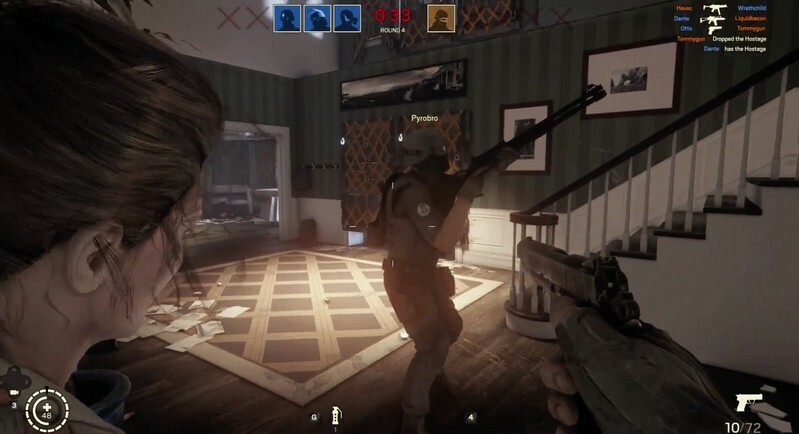 The E3 demo that was released in 2014 gave players a glimpse of soldiers having to break through wall and rooftops and practically any penetrable construction feature that might be penetrable. And the destructible environments in the game are part of each and every level, so players can be as “bash-happy” as they wish to be in this game. The main premise of the game is that there is a hostage being vied for by two teams in the video game in each round. The two teams – the attackers and the defenders – at every round, has the sole focus of capturing the hostage; that is, the attacking team of that round must capture the hostage – alive – from the defending team in each round. Tom Clancy’s Rainbow Six: Siege is a role playing video, counter terrorism, fantasy adventure game that can be played both in single player and multiplayer modes. Team work is key within the game. And the stress and realism depicted and adapted into the game is the likes of which never seen before! The term “Siege” in Tom Clancy’s Rainbow Six: Siege video game describes the main theme and gameplay of the game in a nutshell. The gameplay here is asymmetrical. The battles are waged within the game in close quarter combat situations and are often set up indoors. The strategy, planning and team work required of each of the teams is paramount to playing this game (as has it been paramount to the other games in the Tom Clancy’s Rainbow franchise of video games). In this video game, players get to control their own special team of Counter Terrorist Units (or CTU) within the game’s environment. And both team will have to alternatively take up the role of either “attacker” or “defender” in each round. And in each round, both teams will be (respectively) either attacking the other team in order to capture the hostage, or defending the hostage from the attacking team. Each round within the game will last only for about three to four minutes, and each player will have only one life per round in the game. So expect the battle to be over really quick. However, this might very well be an advantage and additional appeal of the game – For not only does the single lifespan per round of the players make it even more realistic (and that is one of the main goals pf the game: to make it feel as realistic as possible), but it also means that if a player dies, he or she will only have to wait a couple of minutes for that particular round to conclude and for a new round (which the afore “dead” player can now participate in) to begin. However, players need to keep in mind that the hostage is the primary part of the game. And gunfire and attacks will harm and kill the living, breathing hostage just like it would a normal living human being. And once the hostage is dead, both teams automatically lose. The hostage will thus also react to the players’ actions by shielding against attacks and such just like a real-life hostage would. All in all “Siege” definitely seems cut out for a lot more success than it’s not-so-successful predecessor “Patriots”.